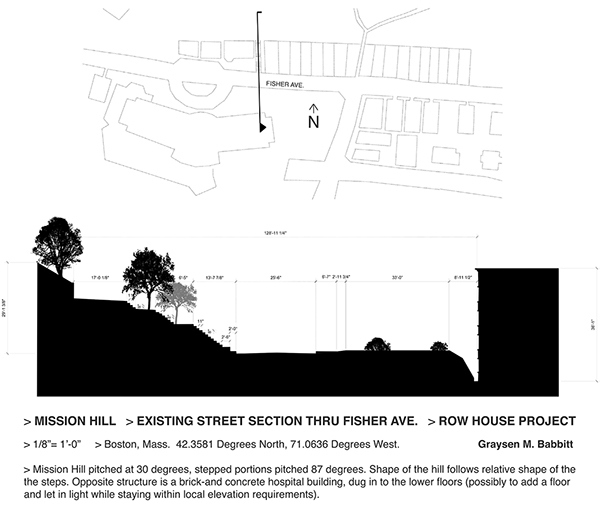 For a school project, we were given the site of Mission Hill in Boston, MA. 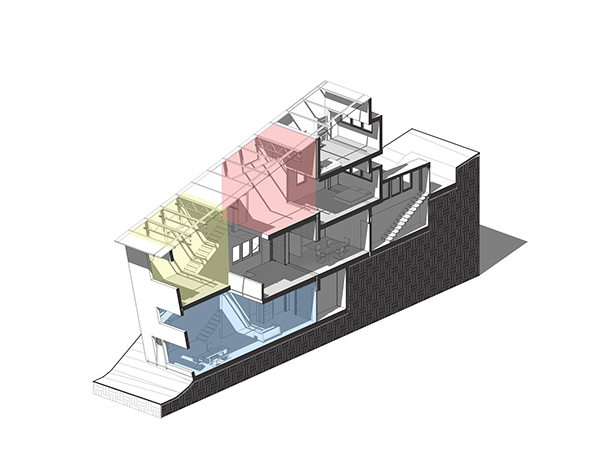 Continuing the tradition of row houses in Boston, we were given lots of 20'x90' south-facing. 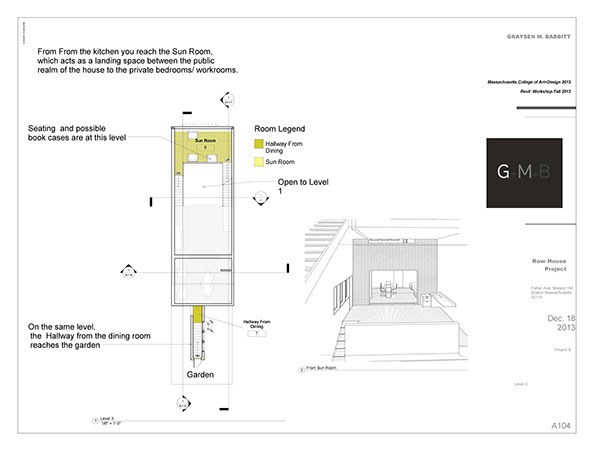 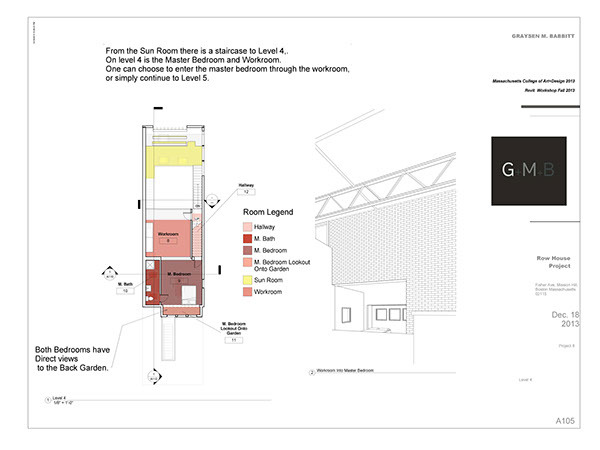 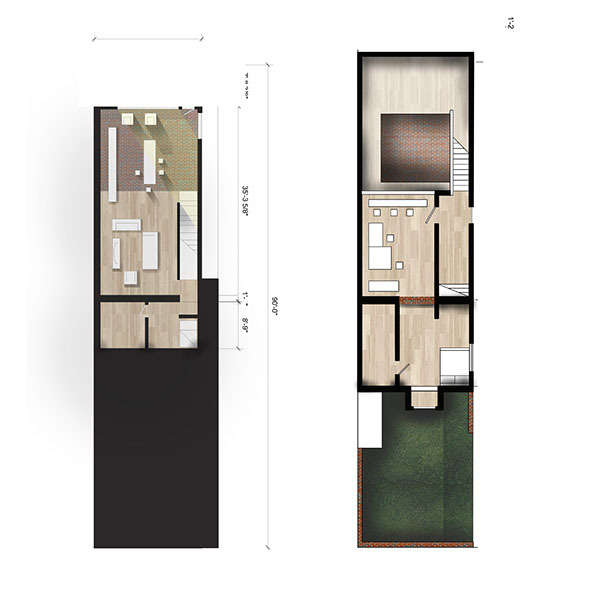 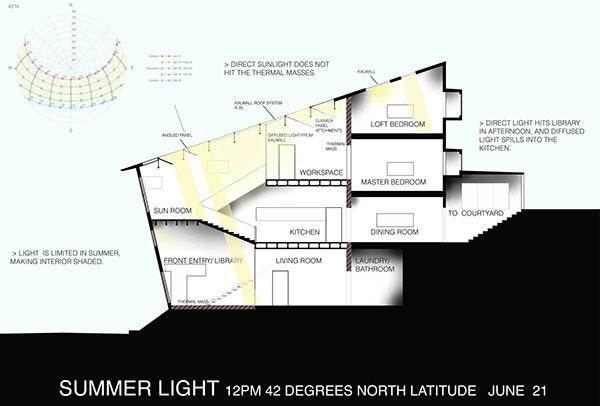 I focused my design on sun angle geometry, and arranged rooms and spaces based on level changes and light filtration. 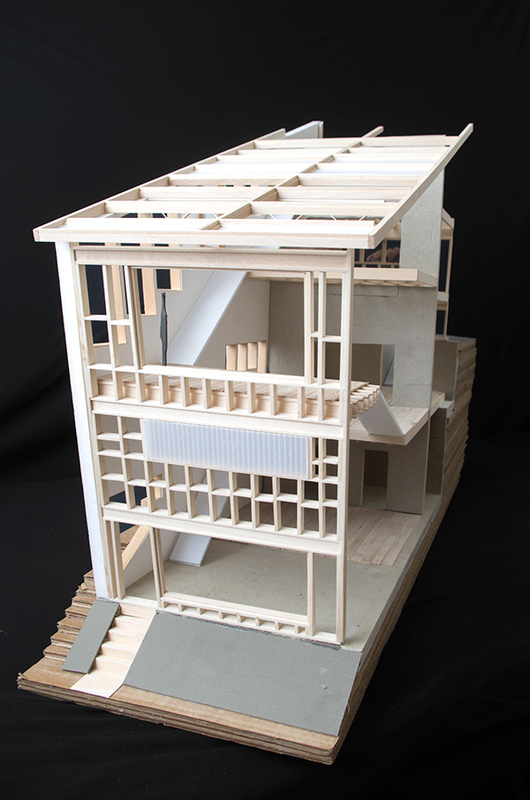 Model photo credit: Ty Ueda. 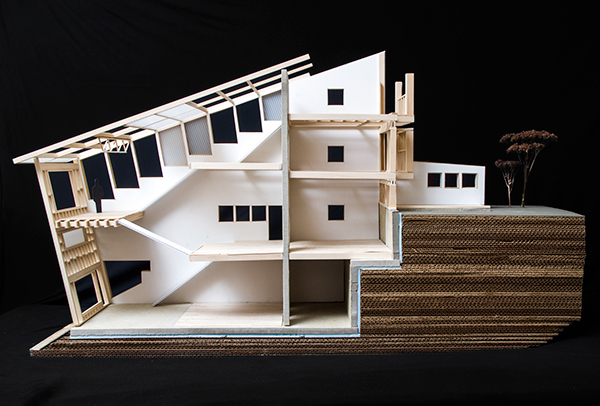 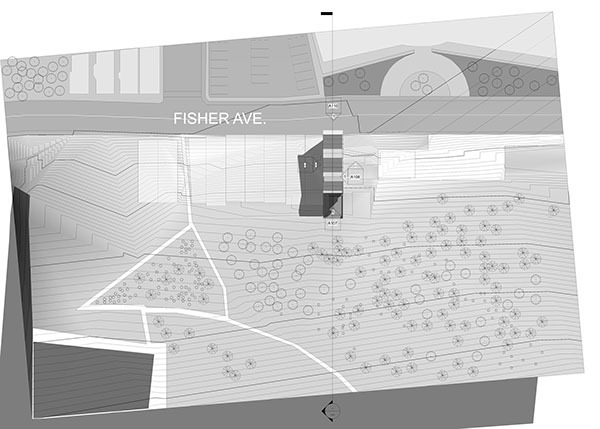 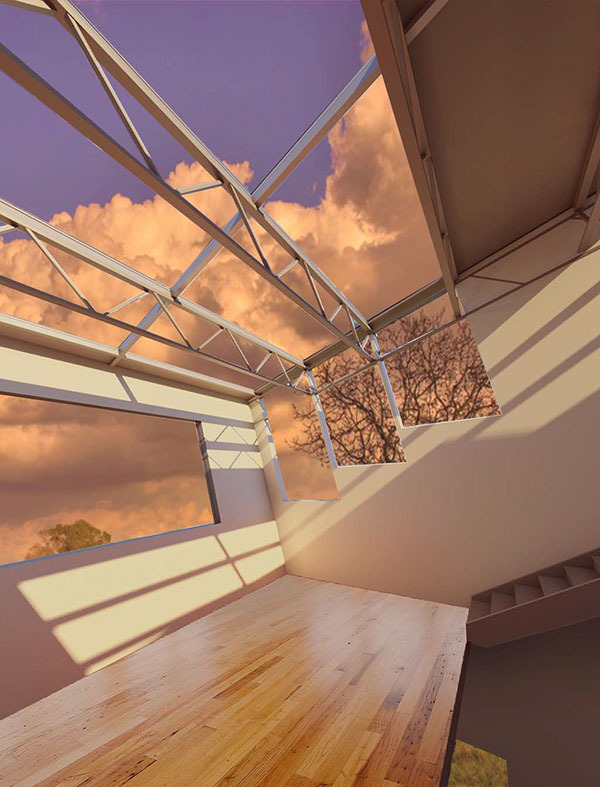 First design project at MassArt, using a 20'x90' sloped site in Mission Hill. 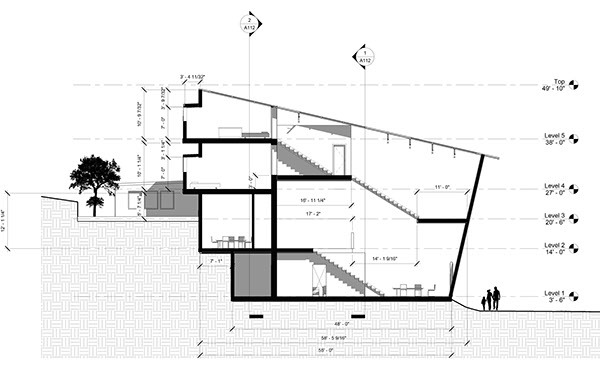 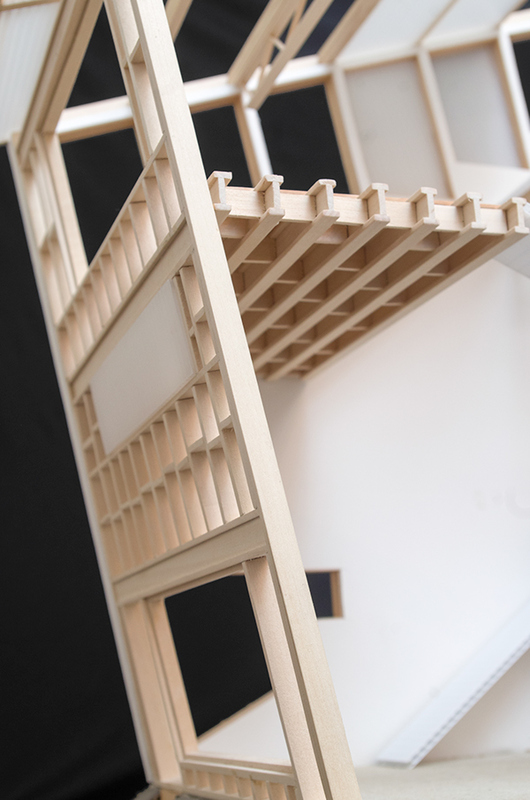 Study precedents include the Tolo House by Alvar Alto and the Jepson Museum by Safdie Architects.